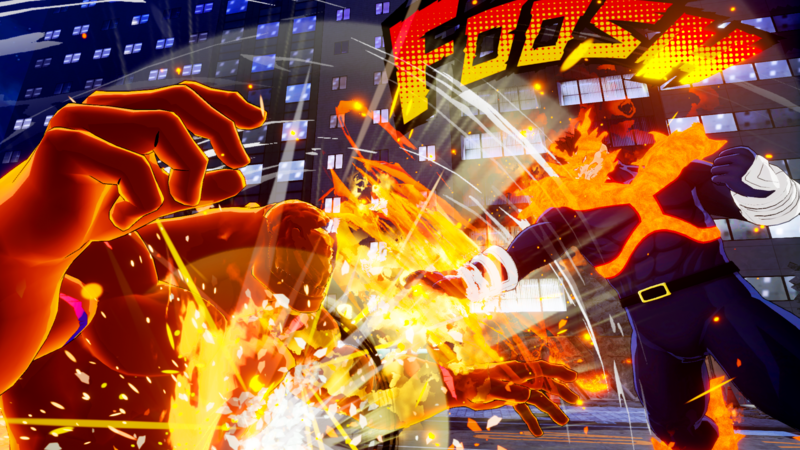 Bandai Namco let loose some details today for this month’s My Hero Academia fighting game, My Hero One’s Justice. The first is an additional character, Endeavor, who will be available as a free DLC download for those who preorder the game. Also, Bandai Namco provided some details on the game’s arcade mode. Despite suffering huge recoil when unleashing his signature moves, a successful hit causes devastating damage to his opponent. In addition, to his formidable close-range attacks, he’s also skilled with mid-range combat too. It will take players practice to master every aspect of Endeavor’s arsenal and crush their opponents without mercy. A new game mode is also revealed today, Arcade Mode. In this mode players will fight against six consecutive opponents, each more difficult than the last. If victorious, players will receive special items as a reward! My Hero One’s Justice goes Plus Ultra on October 26, 2018 for the PlayStation 4, the Xbox One, the Nintendo Switch, and the PC.